Sydney, sits on one of the most beautiful harbors in the world. This vibrant, cosmopolitan gateway to Australia is a captivating city packed with natural and man-made charms. Its superb beaches, historic enclaves, top-flight restaurants and surrounding attractions all combine to make it an essential Australian experience. In Sydney you’ll encounter a laid-back outdoor lifestyle and one of the most pleasant cities to spend your vacation. Sydney’s beautiful harbor is a wonderful playground. Sydney has a wide-ranging cultural life, dynamic cuisine, exciting cityscape of contemporary and colonial architecture, and iconic beaches. Sydney, a free spirited, vibrant city built around one of the world’s most beautiful harbours, with scores of sparkling beaches within easy reach of its cosmopolitan heart – that’s Sydney, capital of New South Wales, Australia’s largest and oldest city, where the first settlers landed in 1788. Situated on Sydney Harbour, adjacent to Circular Quay, The Rocks lies beneath the giant arch of the Sydney Harbour Bridge and overlooking the famous sails of the Opera House. This historic quarter of Sydney was the site of the first colonial settlement in Australia in 1788. The Rocks is home to colourful characters, residents and artists. The Sydney Visitor Centre is a good place to start. Pick up a map, chat with the friendly information officers and view the centre’s archaeological exhibition. The Rocks is a waterfront precinct is where you will discover beautifully restored historic buildings and lose time as you admire displays in one of the many galleries and museums. This historic precinct offers a wide selection of dining, shopping and entertainment. The Rocks is the “must do” part of every visitor’s enjoyment in Sydney. Try the weekend markets, located in the heart of Sydney’s old quarter, open every Saturday and Sunday from 9am to 4.30pm. The markets specialise in Australian home wares, antiques, collectibles and gifts. Join a tour with BridgeClimb and climb the arches of the Sydney Harbour Bridge or take the stairs up the Pylon Lookout, both providing fantastic views of Sydney Harbour and surrounding suburbs. Sydney Opera House, a landmark building at Bennelong Point, is home to Australia’s opera, ballet and theatre companies and the Sydney Symphony Orchestra. There are a number of restaurants located in the complex and guided tours are available. Sydney Tower Observation Level is located in the AMP Centrepoint Tower. The tower provides compelling 360-degree views of Sydney from both the observation level and its revolving restaurant. Darling Harbour is a place where Sydney celebrates. This modern waterside harbour, five minutes from the city centre is accessible by car, ferry, bus, lightrail and monorail. Browse through the 200 shops in the Harbourside Shopping complex and eat in one of the waterfront restaurants at Harbourside or the all new Cockle Bay development. You can visit many world class attractions including the Australian National Maritime Museum, the Panasonic Imax Theatre, The Chinese Garden, The Powerhouse Museum and Sega World. Manly is a seaside resort on the north eastern corner of Sydney Harbour with both ocean and harbour beaches. From Circular Quay take the ferry or JetCat, an express ferry, to Manly or visit as part of a harbour cruise. Close to Manly Wharf are restaurants, boutiques and the aquarium, Oceanworld. Visit the old Quarantine Station at North Head that provides unsurpassed views. Day tours and special ghost tours at night are available. 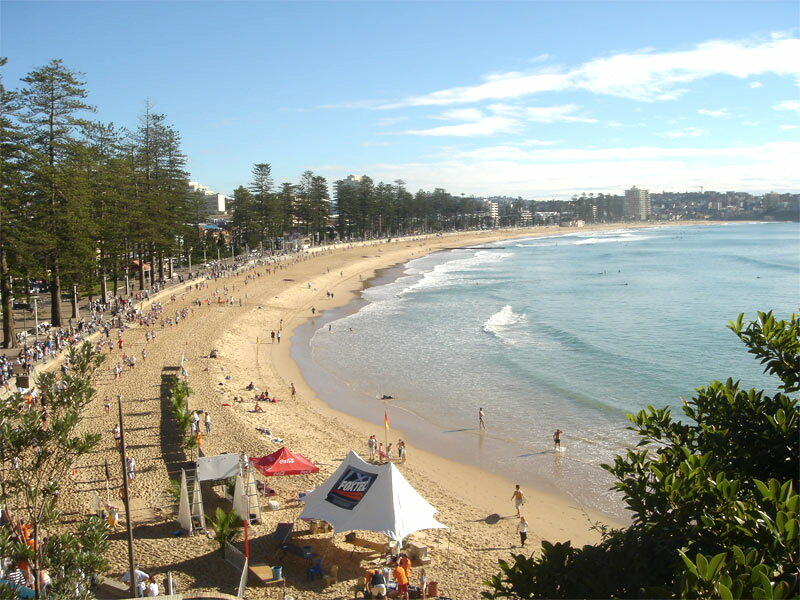 The area around Manly is ideal for scenic walks and the famous beach offers a range of water activities. To the north and south of the city, you’ll find white sand beaches, minutes away by bus, ferry or taxi. Within the harbour are Balmoral, Nielsen Park and Camp Cove. 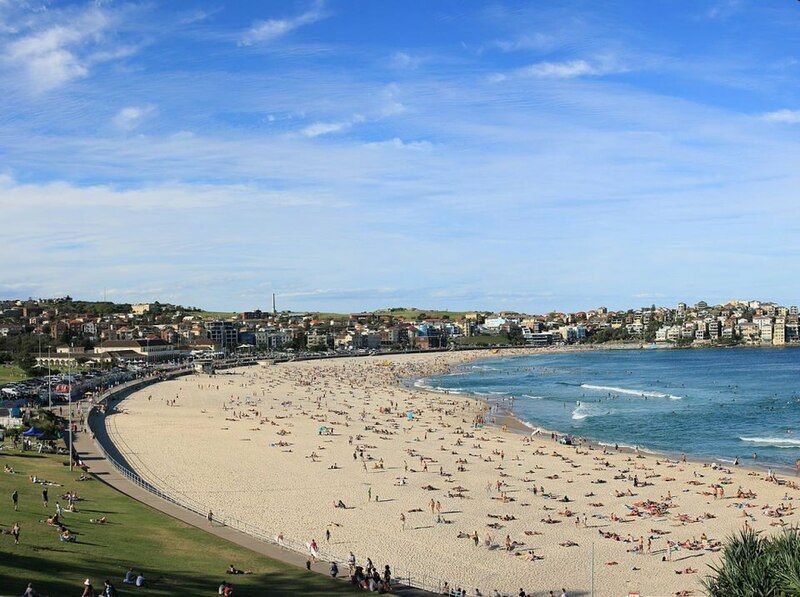 For surfing, there’s Bondi, Bronte or Coogee in the south; Manly, Collaroy or Palm Beach in the north. 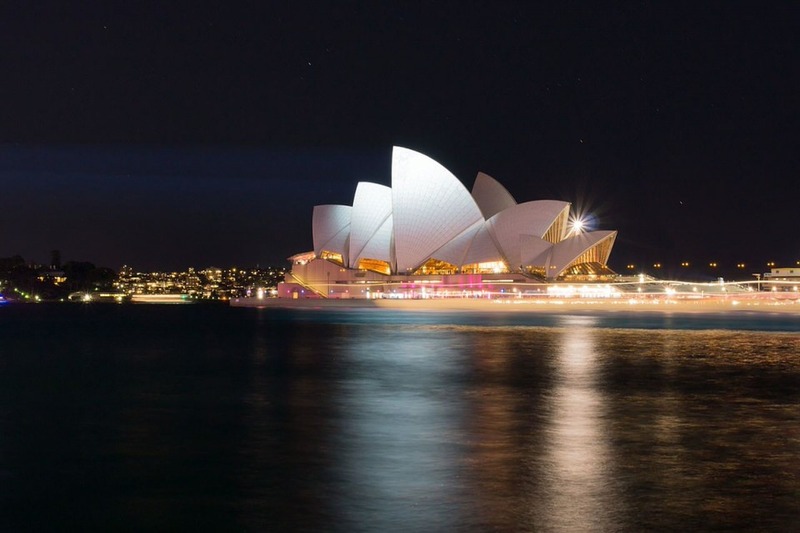 In the city itself, enjoy Sydney’s lively theatre, dance, opera, concert and pub entertainment. Kings Cross offers late-night entertainment in bars and discos. For a movie and bite to eat head to George Street. The nearby Sydney Entertainment Centre is the venue for concerts. Choose from one of the many dinner cruises on the harbour offering entertainment and superb scenery, or try your luck at the casino, Star City. Overlooking the harbour, the casino offers gaming facilities such as blackjack, roulette, craps, sic bo and the traditional Australian favourite two-up. Sample some jazz at Soup Plus, The Basement or Harbourside Brasserie, or dance the night away at the Cauldron, Retro or DCM. For rock music lovers there is the Woolloomooloo Bay Hotel or for comedy enjoy entertainment at Kaos, Sydney’s most popular comedy restaurant. Almost every cuisine is available in Sydney and the quality is very high. Try the local seafood or taste the best from international cuisines. Some of Sydney’s best eating can be enjoyed in a number of precincts – Chinatown, The Rocks, Balmain, Leichhardt, Darlinghurst, Newtown and Kings Cross. With four national parks, Sydney offers a superb environment to get back to nature with opportunities for bushwalking, picnicking, and adventure activities, and are all easily accessible from the city. Sydney Harbour National Park incorporates the Sydney Harbour islands and much of the harbour foreshore, while the Royal National Park, Botany Bay National Park and Ku-ring-gai National Park offer an insight into Aboriginal culture through preserved rock and cave art. 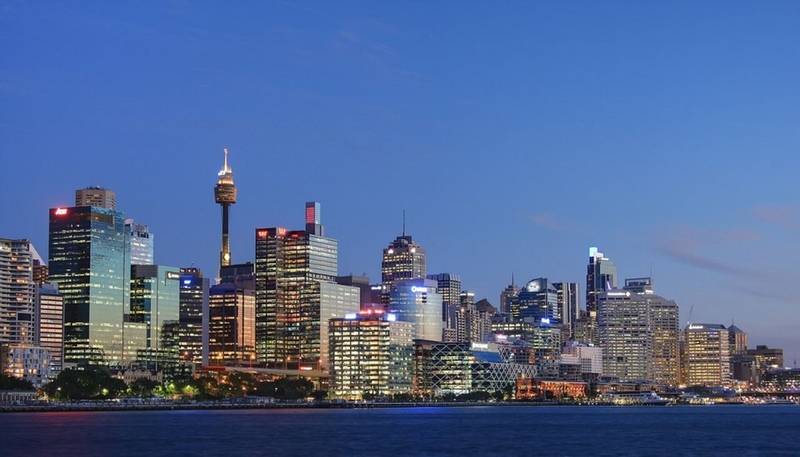 In the west of Sydney, before the Blue Mountains, are several historic cities and regions. dParramatta was settled by Governor Phillip in 1788 and was known as the capital of New South Wales in colonial times. It is an area of great historical interest with attractions such as the Old Government House and Elizabeth Farm. Located 20 kilometres up the river from Sydney, access includes the Rivercat Ferry from Circular Quay. The City of Penrith is located on the Nepean River at the foot of the Blue Mountains. Attractions include the Penrith Lakes, selected as the venue for the rowing for the Sydney 2000 Olympic Games. 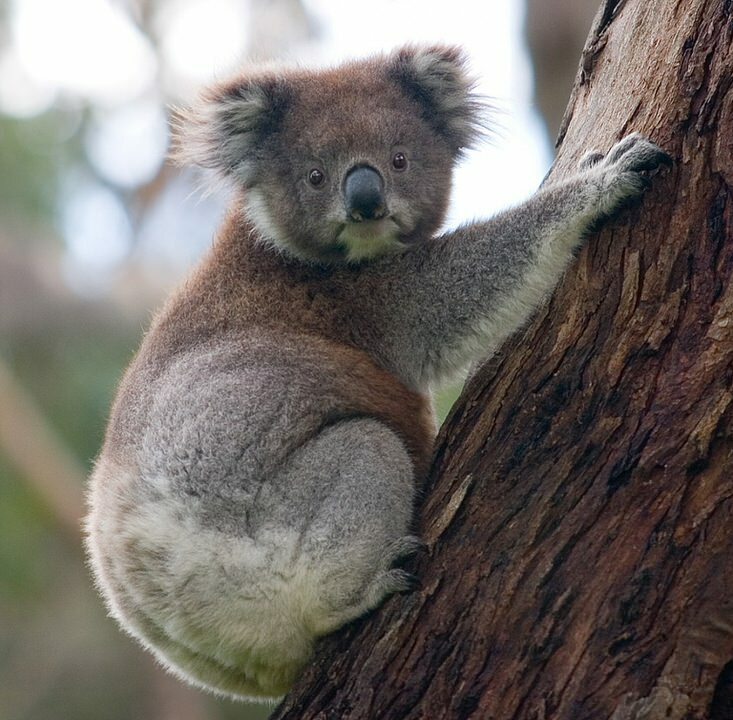 On the way to Penrith from Sydney, at Eastern Creek, is Australia’s Wonderland, a major fun and theme park for Sydney, together with the Australian Wildlife Park where visitors discover the beauty of Australia’s flora and fauna. The Hawkesbury River, flowing from Richmond to Broken Bay, north of Palm Beach, provides a playground for fishing, cruising, canoeing and waterskiing. Many fine dining restaurants line the foreshore of this picturesque river.